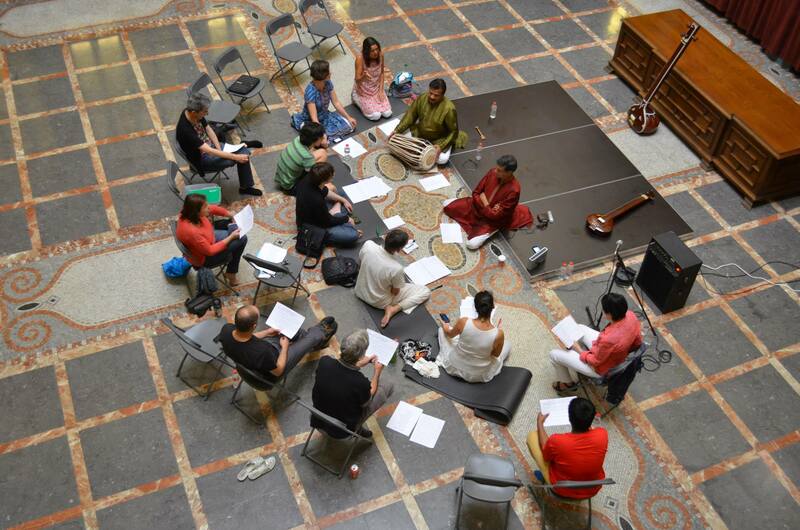 Saṅgītarasikā is a project which creates opportunities for us to experience artistic experiences from different musical traditions. Our aim is that through music we begin to appreciate our links and our similarities whilst also enjoying and respecting our differences. Saṅgīta (pronounced sangeet or sangeeta) is the Sanskrit word for music. It includes vocal music, instrumental music and dance. Rasika means ‘to get a taste or a sense of’ or ‘to appreciate’, ‘to experience’. Our first projects (2014) explore Dhrupad, the oldest and deepest genre of hindustanic classical music. In this site at the moment you will find materials related to the indian musical tradition as well as a calendar of concerts and educational experiences which we suggest and promote. We are inspired to new experiences, the coming together of people, the making of new friendships.